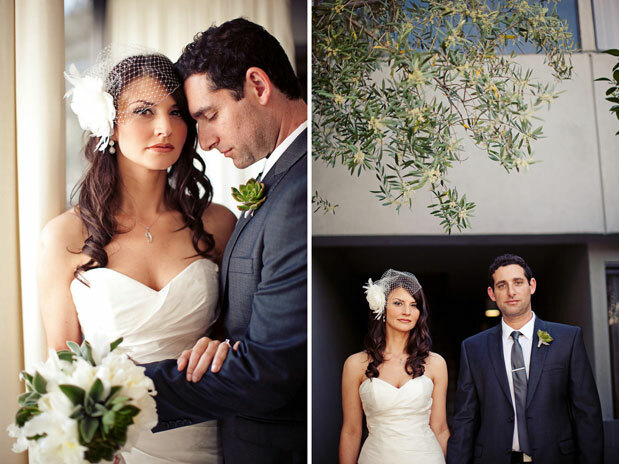 Melissa and Jason’s wedding at the Luxe Hotel in Bel-Air has everything a modern bride could hope for: clean florals, dark grey architectural lines, plenty of white, and chevron stripes. These little babies are all the rage, so that cake’s cool factor is through the roof. She’s like the popular girl in high school…who wears everything before it becomes too popular. Oh, Chevron Cake. Teach me your ways of vogue. Such a cool cake must be by the one and only, Melody of Sweet and Saucy. She’s always up for knocking our socks off. 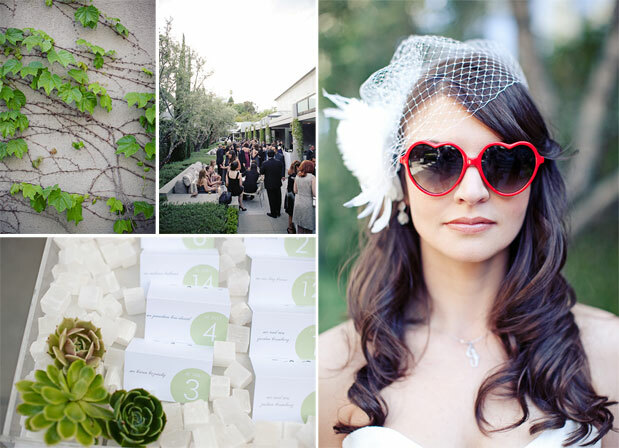 When you see all this modern goodness, it means, of course, that Carissa of JL Designs and Events MUST be involved. 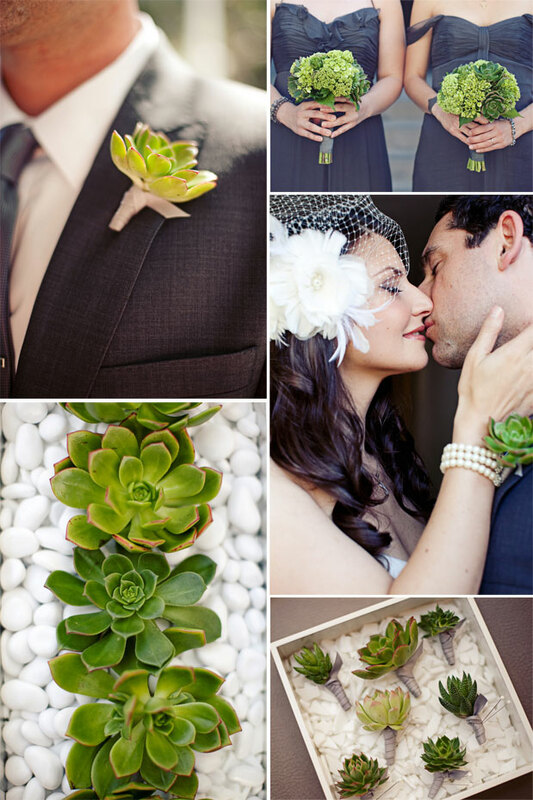 She’s all things modern, and these succulent pretties scream California luxe. 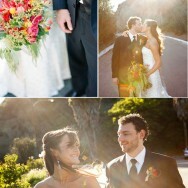 And where would we be without the ever fabulous Meg Perotti, who shot these gorg images! 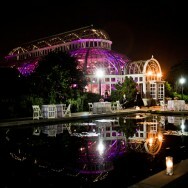 Coordination was by LRS Event Planning. I love the use of green and white here. Such an inspiring eco theme. Thanks for sharing. Thank you for sharing!! This is so cool and clean. I love the green and grey together. beautiful! 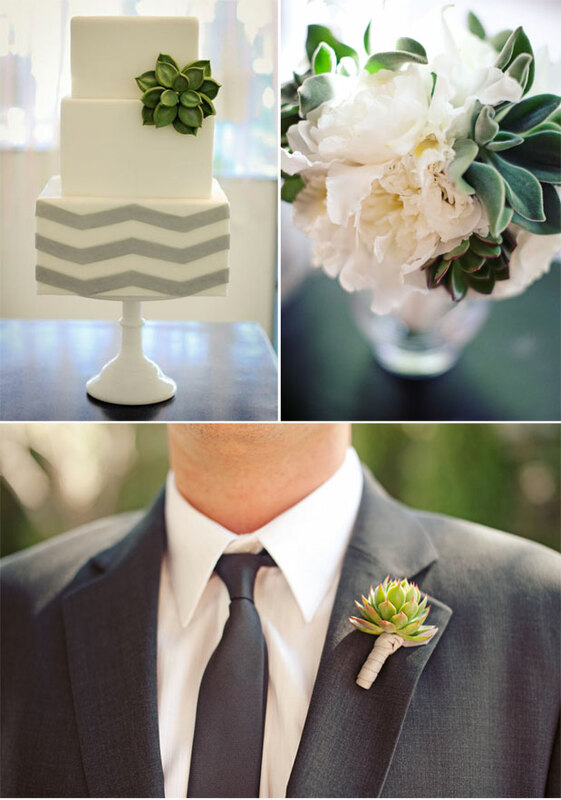 love the succulents & that cool chevron cake!! that cake + this color palette are all kinds of pretty + chic! xo, chrissy. Wow! Absolutely gorgeous, and what a team of vendors. Great work ladies. Beautiful! I am in the midst of planning my wedding & charcoal grey is the main feature, I must know where te bridesmaid dresses are from? Please & thank you!! 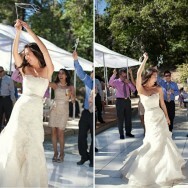 Can you tell me where the bride found the birdcage veil? Thanks! My dearest Melissa and Jason-what a beautiful couple.....Melissa looks like a movie star!! Love her XXXOOOO Jason you are sooooooooooooo handlsome!!!!!! This looks like it was the wedding of the century!!!!!!!!!!!! 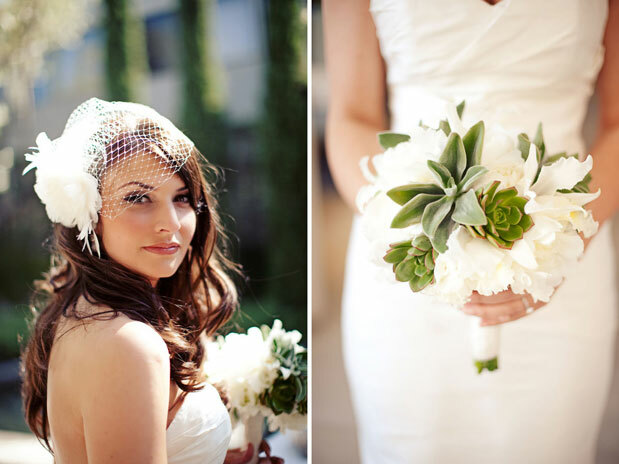 Love this wedding - especially the bride's bouquet, what an unexpected pairing! Gorgeous succulent flowers! Make for lovely boutonnieres! I wish more folks would use them at weddings. Perfect for the outdoors! i have been itching to make a chevron wedding cake. this one is lovely. Beautiful! The succulents are a great addition!